Sara Stowe will premiere my Patchwork Fantasia (for harpsichord) on Saturday 11th May at the Pimlott Foundation, Colchester. 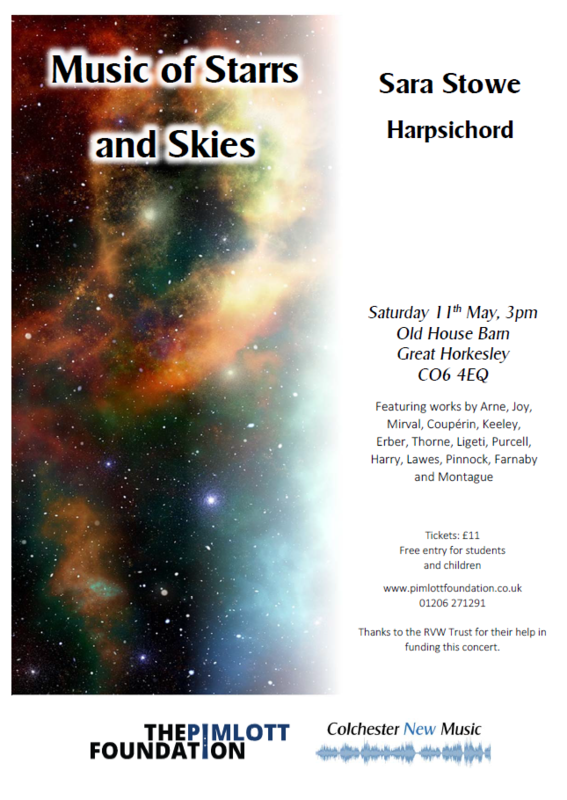 Her concert Music of Starrs and Skies will feature primarily new music, including pieces by local Colchester New Music composers. I’m particularly pleased to have a piece performed in a concert alongside one by Stephen Montague, one of my composition teachers when I was a studying many years ago! Thanks to the RVW Trust, Colchester New Music and the Pimlott Foundation for supporting the concert.